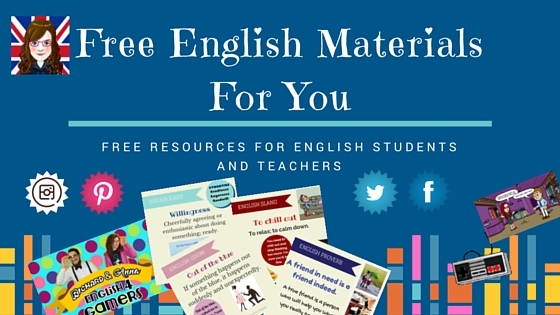 “To endure” – What does it mean? I cannot endure your insolence any longer. 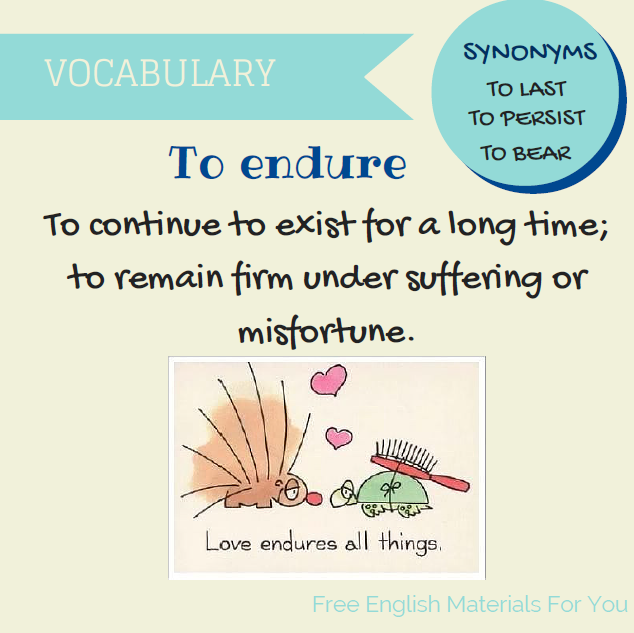 => Here “endure” means “tolerate”, “bear”, “support”. The style endured for centuries. => Here “endured” means “continued in the same state”, “lasted”. Even in the darkest ages humanity has endured. 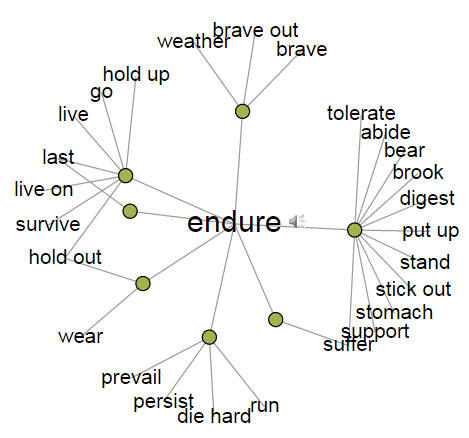 => Here “endured” means “suffered patiently”, “suffered without yielding”, “persisted”. INSOLENCE => being rude or impolite, show a lack of respect or other people. YIELDING => TO YIELD => to collapse, to give up, to surrender.